The Orange County Board of Supervisors listened to community members at today’s Board meeting on the hottest new subject: homelessness. It’s amazing what can happen when a Federal Judge squeezes a balloon. This is not an easy subject, and there is no perfect solution. Dealing with it generates a various number of emotions. Fairview is the subject (see MOORLACH UPDATE — Homelessness Pace — March 24, 2018). The Daily Pilot provides another balanced perspective in the first piece below. The next two pieces are from CBS Los Angeles News. Their journalism is an opportunity to address poor and lazy workmanship. So please allow me to set the record straight. The Daily Pilot details that there is no “plan.” But CBS states that I’ve “laid out a plan.” Their reporter did not contact me. The subsequent reporter repeated the same claim. The first reporter has interviewed me in the past. Now she has even given me two titles. A little better scholarship would have been helpful. There is no immediate plan. I have been working on Fairview Developmental Center for quite some time. It is an opportunity. One that will take at least two to three years to implement. And the current request would be in the area of housing some 100 people. So, when a Federal Judge starts demanding solutions within days, it will only stir up the wrong emotions for many constituents. Trying to be part of the answer has generated numerous exchanges of note. The number of individuals who have courageously told me their personal stories has been amazing. Many constituents have children who were on the streets and homeless due to mental illness or drug addiction. Our community’s young adults need help. And many of the exchanges were with people who want to help financially to provide facilities for the OC’s homeless and mentally ill community. In fact, I’m just back from the Children’s Hospital of Orange County (CHOC), where I attended their Mental Health Inpatient Center Opening Celebration. It’s remarkable what can be done for Orange County’s children when donors and leaders step up to the plate. This is what Orange County does. When there is a need, we try to address it. Let’s hope that Judge Carter can assemble those who wish to help and create a real plan to work with the numerous assets that are available in Orange County to construct locations that serve as a national model. 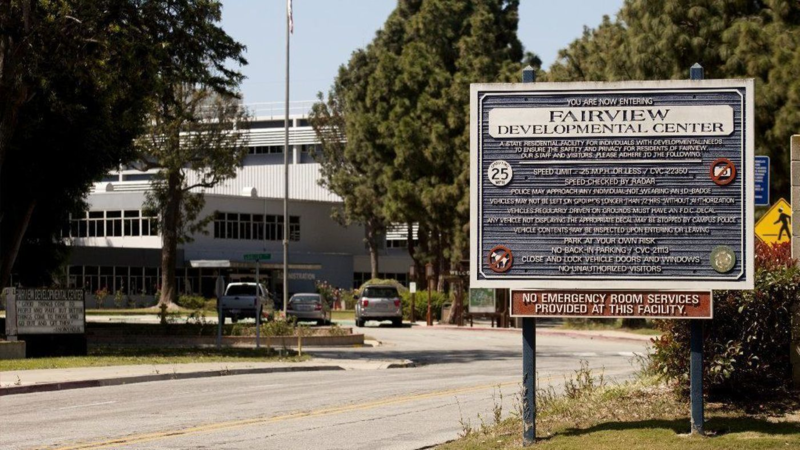 Costa Mesa City Council members will hold a special meeting Wednesday to discuss a concept an Orange County supervisor and a state senator unveiled last week for using part of the Fairview Developmental Center property in Costa Mesa as an emergency homeless shelter. The meeting will start at 5 p.m. at the Costa Mesa Senior Center, 695 W. 19th St. An official agenda had not been released as of late Monday afternoon. Though a concrete plan hasn’t been announced, Supervisor Shawn Nelson and state Sen. John Moorlach (R-Costa Mesa) floated the idea Friday that the 114-acre, state-owned property at 2501 Harbor Blvd. is an intriguing shelter possibility because it’s centrally located and already has infrastructure that could be used to house and provide services to the homeless. “If we can find a campus to address a significant need in this county that we can rally around, then this is one of those opportunities that we just don’t want to let pass by,” Moorlach said in an interview Friday. For weeks, county leaders have been grappling with how to house hundreds of homeless people who were recently evicted from encampments along the Santa Ana River. The move to clear those camps prompted homeless advocates to file a federal lawsuit. County supervisors approved a plan last week to eventually move former riverbed residents — many of whom are currently staying in motels — to temporary shelters in Huntington Beach, Irvine and Laguna Niguel. But leaders in Irvine and Laguna Niguel have voted to sue the county over the shelter plan, and Huntington Beach officials have pushed against the plan for a location there. Fairview Developmental Center opened in 1959 and currently provides services and housing to 133 people with intellectual and developmental disabilities, according to the California Department of Developmental Services. Like similar facilities around the state, Fairview is scheduled to close as part of an effort to transition people out of institutional-style centers and into smaller accommodations that are more integrated into communities. The goal is to move Fairview’s remaining residents to other living options by 2019, according to the state. COSTA MESA (CBSLA) — A possible solution to Orange County’s homeless problem is sparking an emergency meeting in Costa Mesa. As CBSLA’s Stacey Butler reports, the mere mention of turning a state-run facility for the developmentally disabled in Costa Mesa into a temporary homeless shelter has neighbors spinning. “It’s crazy. We have heroin overdoses all over the streets here already right now. If they move those people here it’s gonna be unlivable for people here,” said William Hart. As those living in Irvine, Laguna Niguel and Huntington Beach fight the county’s plan to put the homeless in their communities,Orange County Senator and member of the Board of Supervisors John Moorlach laid out a plan last week to house the homeless recently evicted from the riverbed in part of the Fairview Developmental Center that neighbors say is all but empty. Neighbors say the problem is there is an elementary school, high school and a Boys and Girls Club too close for comfort. Jack Sykes said he is “absolutely” worried about the plan and that he won’t feel safe. The emergency meeting called by the Costa Mesa City Council is taking place on Wednesday night at 5 p.m. at the Costa Mesa Senior Center. Hundreds are expected to attend. SANTA ANA (CBSLA) — Orange County supervisors Tuesday could decide to abandon a controversial plan to erect large tents in Irvine, Huntington Beach and Laguna Niguel to temporarily house homeless people recently removed from the Santa Ana riverbed. Dozens of protesters are expected at the meeting, which kicks off at 9 a.m. Supervisors on March 19 held a special meeting to approve consideration of “sprung structures,” which are large tents hotels often use to handle overflow from ballrooms. The supervisors voted to direct staff to research the logistics and then work with officials in each of the three cities, but the plan never got far as residents and city leaders erupted with outrage and threatened litigation. The lawsuit resulted in a deal between the advocates and municipal officialsin which the homeless would be removed from the riverbed and then be given 30-day motel vouchers while the county looks for more permanent solutions. Those vouchers are set to run out, however. County officials are confident they have enough beds to handle the transients from the riverbed, but to satisfy U.S. District Judge David O. Carter, who is overseeing the federal lawsuit, they pledged to pursue the large tents in the three cities in case they lacked enough beds. The plan was to put 200 beds in Irvine, with 100 each set aside in Huntington Beach and Laguna Niguel. If the beds were filled in Irvine then officials would then turn to Huntington Beach and then to Laguna Niguel. Last week, meanwhile, state Sen. John Moorlach and O.C. Supervisor Shawn Nelson laid out a plan to house the homeless in part of the Fairview Developmental Center in Costa Mesa. That plan has also been met with a great deal of opposition. Neighbors say there is an elementary school, high school and a Boys and Girls Club nearby. Nelson will chair Tuesday’s meeting as Chairman Andrew Do is out of town.